Experience Denver’s unique dining scene at downtown restaurants, bars, and cafes. 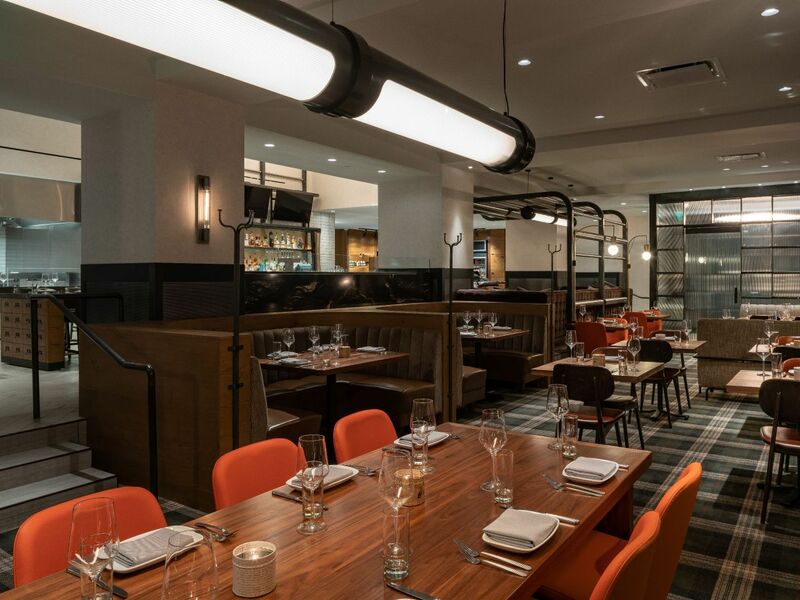 Settle in for classic dishes reinvented in a historic newsroom-themed setting at courier. market | bar | kitchen or meet for inventive cocktails at the chic courier. bar. 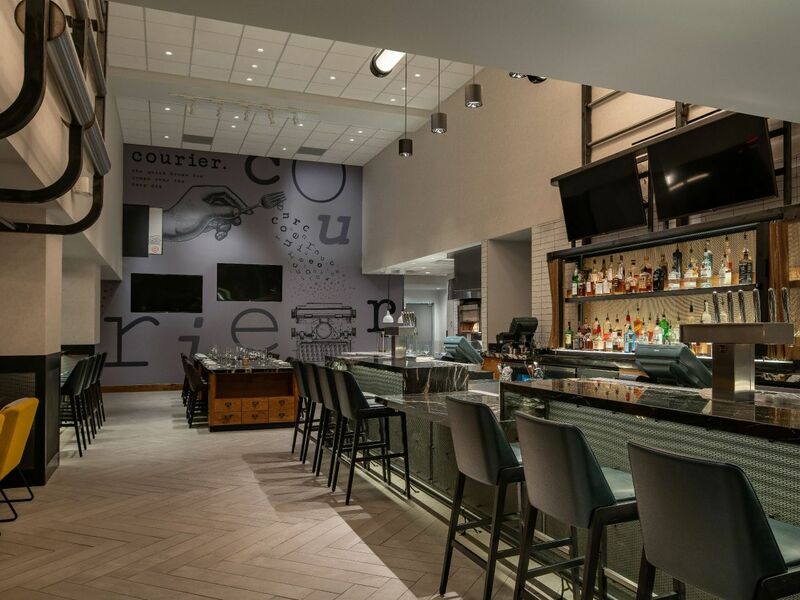 Pick up locally sourced made-to-order sandwiches and salads at the courier market or linger over signature drinks by at Fireside | the bar. Treat yourself to fresh pastries and coffee at our cozy full-service Starbucks® or order in anytime with 24-hour in-room dining. Take the gourmet to-go with a selection of fresh sandwiches and chef-made salads pre-prepped in our downtown Denver market. Eat deliciously while on deadline with a menu of carefully-crafted and packaged fare featuring locally-sourced ingredients. Pre-order or pickup meals for breakfast, lunch, and dinner before heading out to make headlines in downtown Denver. 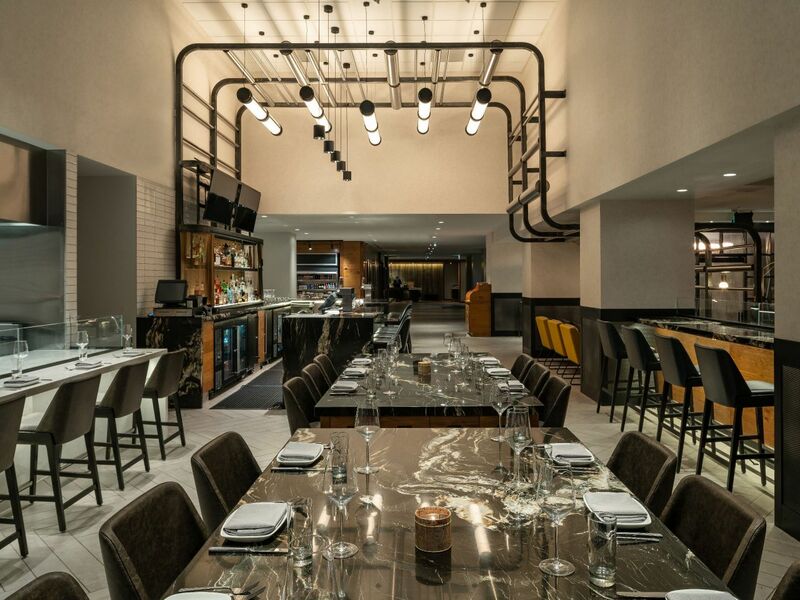 Make headlines at this contemporary newsroom-themed restaurant in downtown Denver. Wake up with New American classics a la carte or buffet style and lunch dishes featuring fresh regional ingredients and cage-free eggs. Share appetizers and small plates around communal tables or break a story over inventive desserts. Have an exclusive? 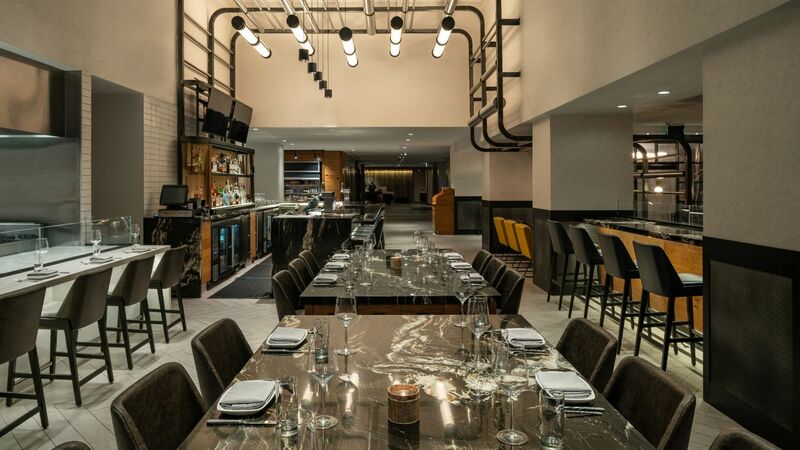 Get your team together for scoops and private dining in our extensive space that can be configured to meet your needs. The restaurant is located on the ground floor of the hotel, where our lobby was once home to one of Denver’s oldest newspapers. Sunday through Thursday, 6:00 a.m.–11:00 p.m.
Friday through Saturday, 6:00–12:00 a.m.
Breakfast Buffet daily at 6:00 a.m. Spread the news over expertly crafted cocktails and happy hour menu selections at our concept bar in downtown Denver. Take a seat at the industrial-chic bar for elevated pub fare and inventive drinks like the Tabloid or bourbon- and absinthe-infused Local Edition. Catch up over decadent desserts and newsworthy non-alcoholic drinks like the nitro cold brew-based Jargon. Choose from a selection of ales and lagers brewed in Denver and Boulder. 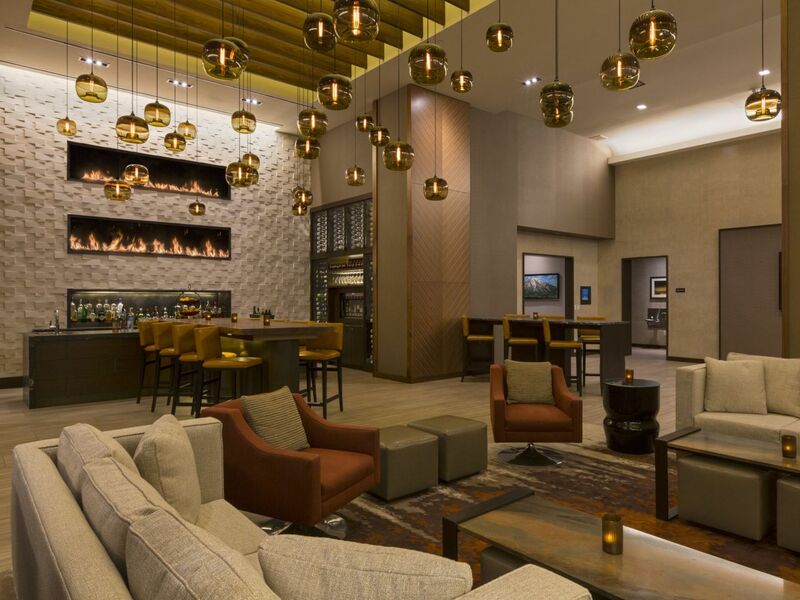 A signature of this dramatic lobby is Fireside The Bar. Here guests can relax with their favorite cocktail or enjoy an innovative new one made with the freshest ingredients. Order a Martini, the bartender’s personal pick of the day, a Colorado well drink or a local microbrew. Select from an array of appetizers. Linear stacked fireplaces and dark wood panels overhead envelop the space making this an inviting retreat. 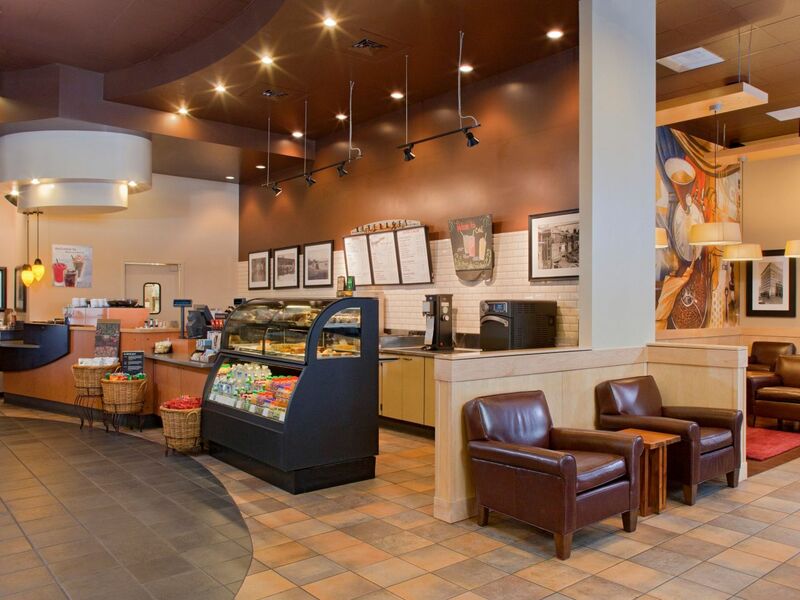 Located across the breezeway in the lobby of our adjoining tower, Starbucks serves a delicious variety of coffee and tea drinks, as well as pastries, muffins and more. Start your day with one of their signature flavored coffee, or take a mid-day break for a refreshing Frappuccino®. The expanded full-service Starbucks at the Grand Hyatt Denver features a historic Denver photo exhibit. With the help of the Denver Public Library, you can learn what once was in some of the Mile High City's most notable locations. Starbucks also features free wireless Internet, soft leather seating for extra comfort and a community table for that impromptu meeting. Starbucks is closed on weekends, however, Courier Market located in Grand Hyatt Denver is open 6:00 AM - 10:00PM daily. 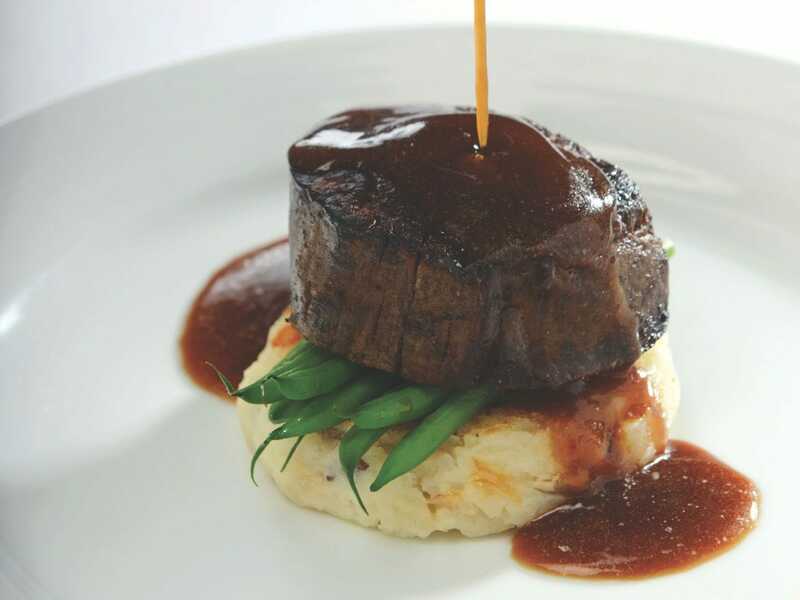 Treat yourself to elegantly presented, delicious cuisine in the comfort of your guestroom or suite. Whether you are looking for a quiet evening of relaxation, or working late into the night to finish a presentation, in-room dining is at your service. From an early morning breakfast to a midnight snack, you’ll find a delicious assortment of beverages, meals and light fare to satisfy your cravings. In-room dining is available 24 hours a day.